This past saturday we held our first Bushido tournament here in Durham, NC (USA). We had 6 players total (not quite all of our local players, but enough for a fun day) and a good variety of factions represented. 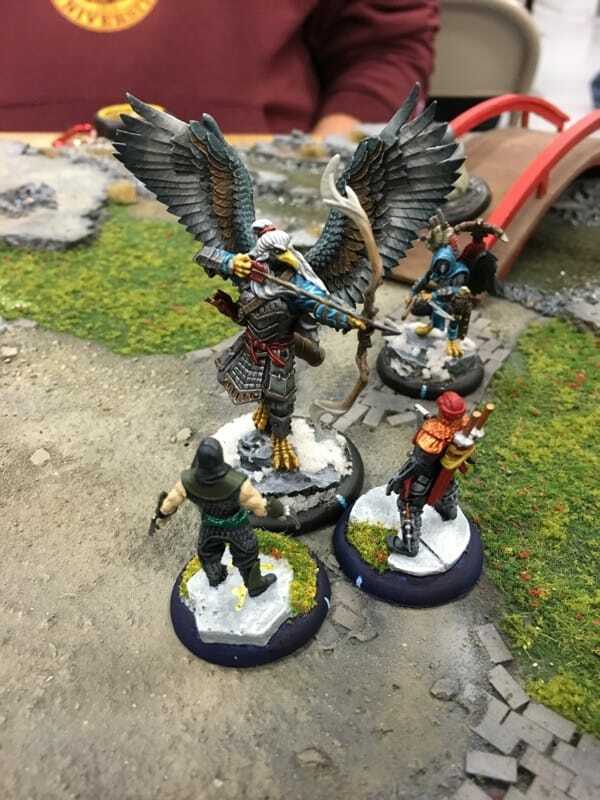 Hopefully it's not too bad form to post a link off-site, but I've posted a write up with a few photos of my day playing my Tengu here: http://misterpowellminis.com/blog/bushido-tournament-recap - I hope you enjoy! nice write up and your teng look awesome i hope i can get mine looking like that. Thanks! I'll defer to FatherKnowsBest with writing up the "Shingon" scenario as he's the creator (I'll mention this thread to him). It's definitely something very different that forces you to push forwards on the table, but also forces you to make some decisions about protecting your markers vs. attacking your opponent's and about whether or not to place your markers early (but have them be vulnerable), or hold some for scoring more later in the game.